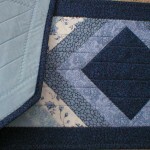 To my great delight, the color blue is once again becoming fashionable in home decor. 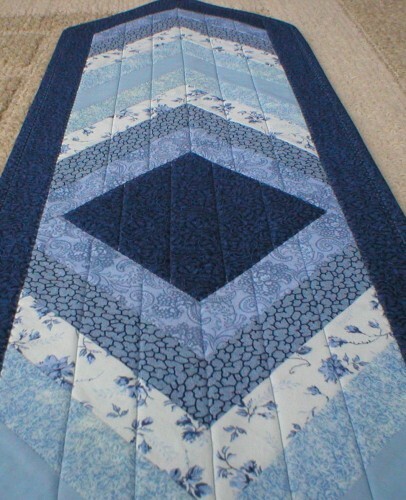 Blue is my husband’s favorite color and I too enjoy blue. 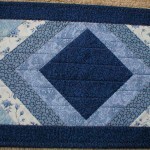 So, the color blue has always been in our home. 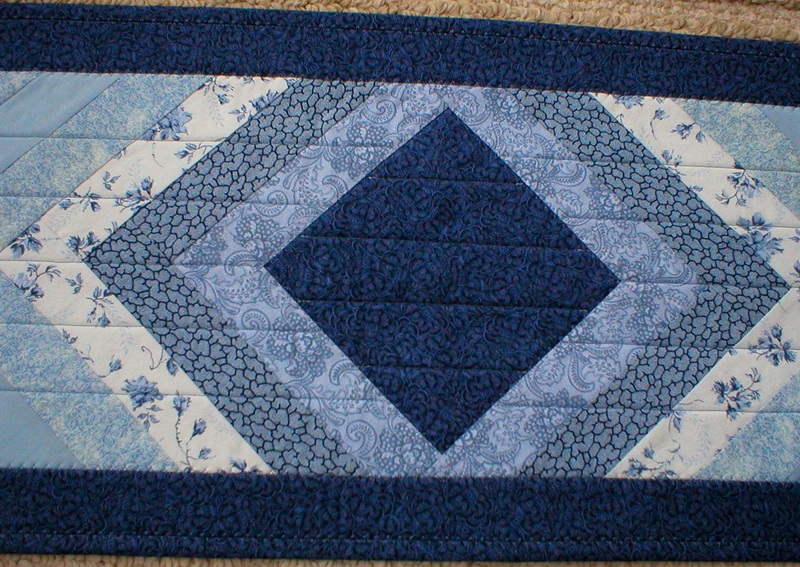 It’s nice to have it “fashionable” again, so I can enjoy making more table mats in blue. 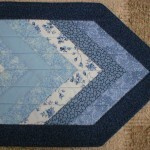 The following is my latest and it’s a gem! 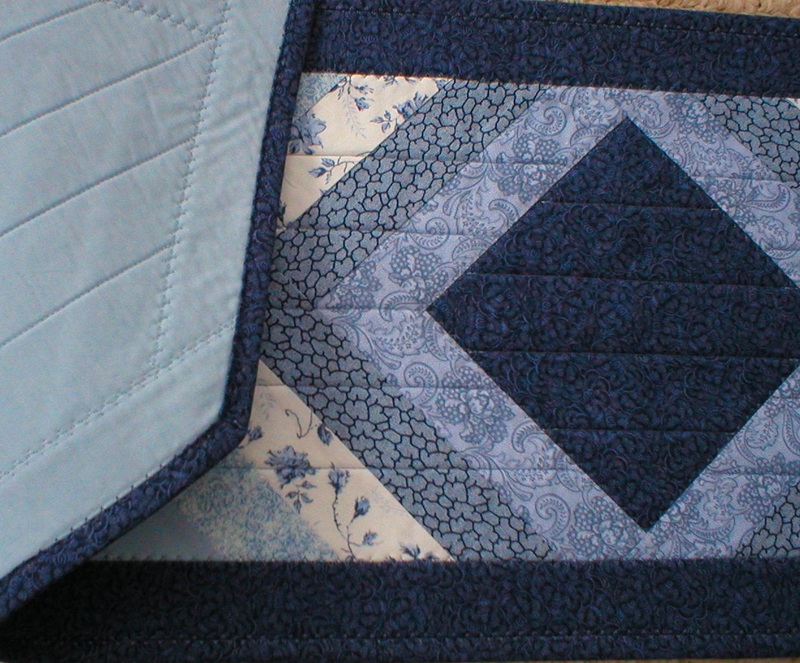 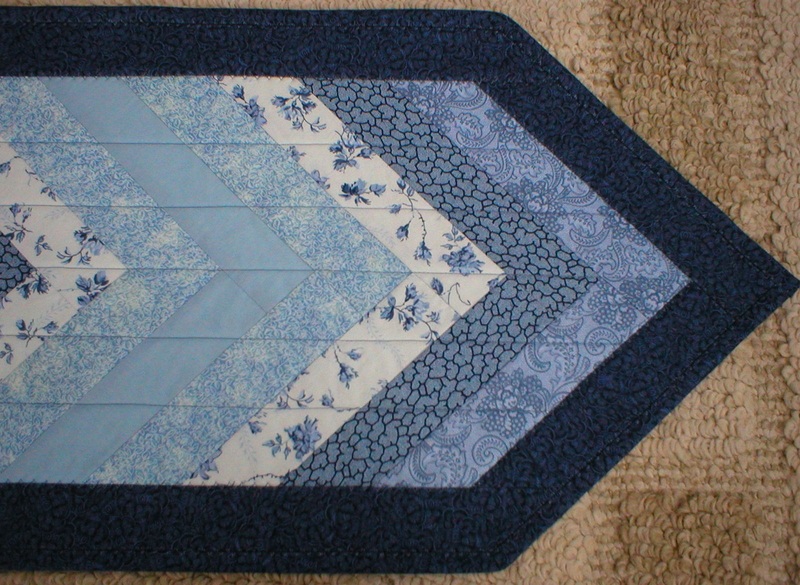 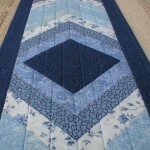 This entry was posted in crafts, Quilting and tagged 52 inch tapered table runner blue, blue quilted table runner, long tapered table runner, quilted table runner on February 4, 2016 by Judi.